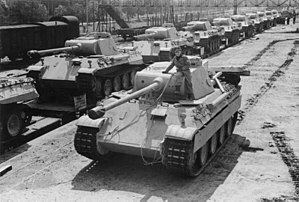 ​I will try and add the tiger and some of the tanks Germany was going to make, e.g. Maus. No offence or anything, but the pz 2 3 and 4 weren't heavy lol. Not trying to start any sort of bad criticism. But just pointing that out. Also, the pz3 and Panther spoilers don't come out for some weird reason. A light tank is still heavy. That's why it's a tank. Well, in terms of weight maybe, depends in the tank purpose. Reconnaissance light tanks tend to have extremely low armor in exchange for maneuverability. Support light tanks sacrifice speed for protection (enough to hold some fire from small fire arms) and a heavy machine gun (20mm-ish) to take out infantry. Others are just a mix (which usually makes up a Medium tank). But back to topic, very nice job doing this wiki/article whatever it is. Edited by randy12345, 05 October 2016 - 05:56 PM. There wasn't such thing as Panther 8.8, that's just another imaginary (but possible) tank WarGaming did to create a premium tank. 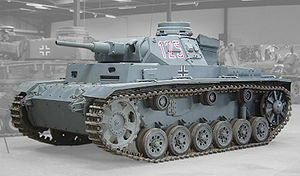 The propposed Panther 2 was the one to feature a 8,8cm cannon. So realistically speaking, adding that imaginary tank won't really add up. Also, the M10 "Panther" It's just a Panther disguised as a M10 Wolverine, that isn't a variant. Panthers over time did have a upgrade to 8,8 mm cannon, but it's model and wait where not mode for such a purpose unlike the tigers. That's why the Panther II had to have a short barrelled cannon. Wargaming doesn't make everything up. If it's thought to not exist that means it was only a blueprint. Want me to name more? Ik, but like I said, it never happened, so nothing can be said about the Panther 2 as it never passed the blue prints. I didn't say all of it. Yea here and there the premiums they have been making recently from their comic book are real tanks but the design isn't real. I assumed you knew about them. It doesn't surprise me though because they always need more tanks to fill their tech tiers. Oh boy do i know them. I just wanted to name the tanks in the line, not premiums. Not really, there's a huge list of tanks that don' exist.